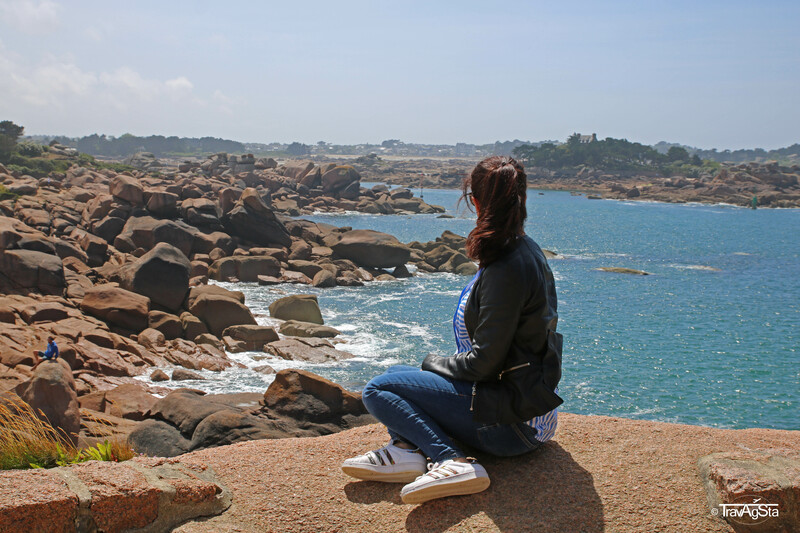 The third part of our trip brought us to the beautiful Finistère, thus to the end of the world, thus to Brittany, thus to Breizh (Breton for Brittany). 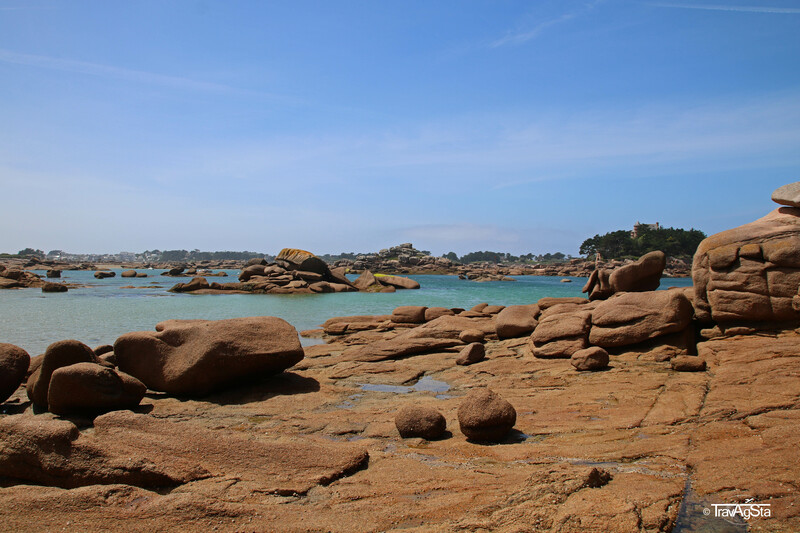 There are so many names for this part of France and we feel free to use just any name we want. In the past languages and cultures of minorities had been suppressed by the French government. Such as those of the Bretons. 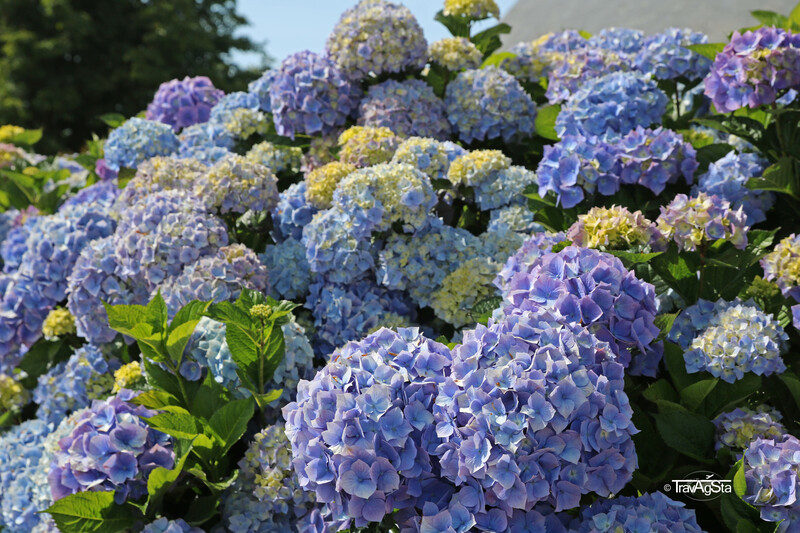 However, they are proud people and use the increasing freedom they get. 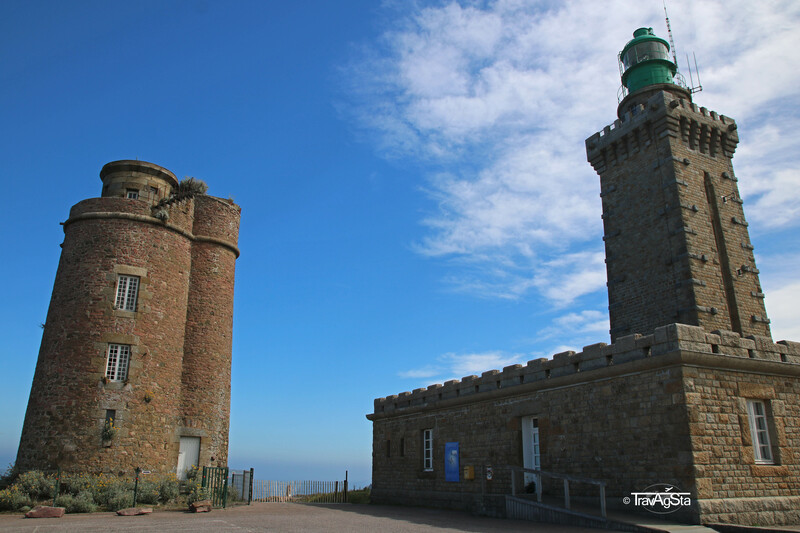 The more you move away from the touristy coast and head more to the inland, the more you can feel the ‘not-French’ atmosphere. The end of our trip was a beautiful wedding of friends and this was where it became really obvious. 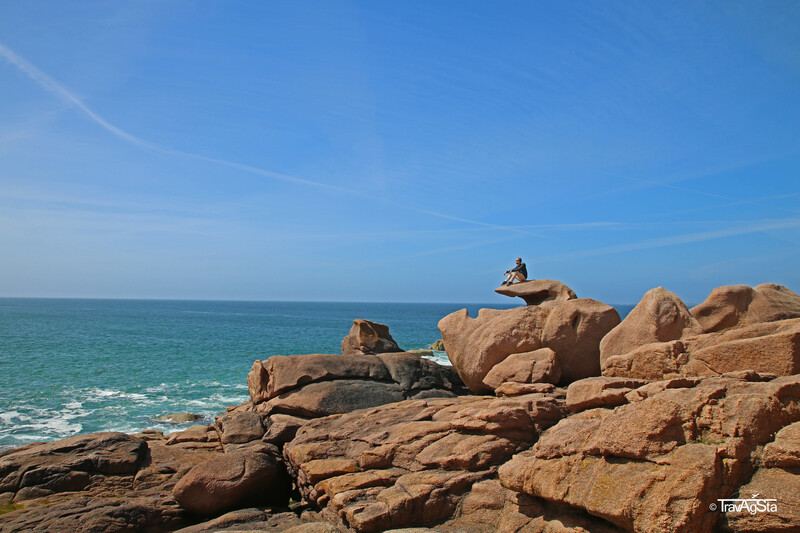 When driving in Brittany, you’ll see the following: bilingual signs, the Breton flag everywhere, the salty air and the landscapes changing from idyllic to wild and back. As the headline says it all, we want to show you some beautiful places in north of this region. 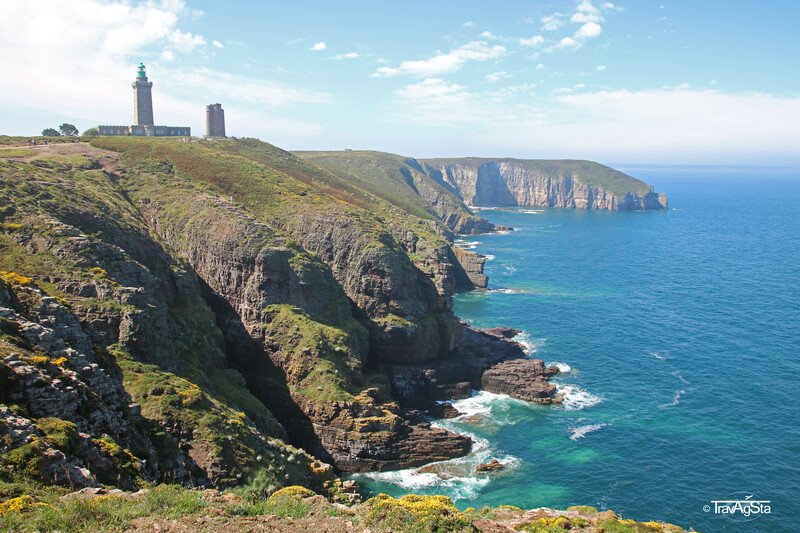 The second post will be about the south of the Finistère. 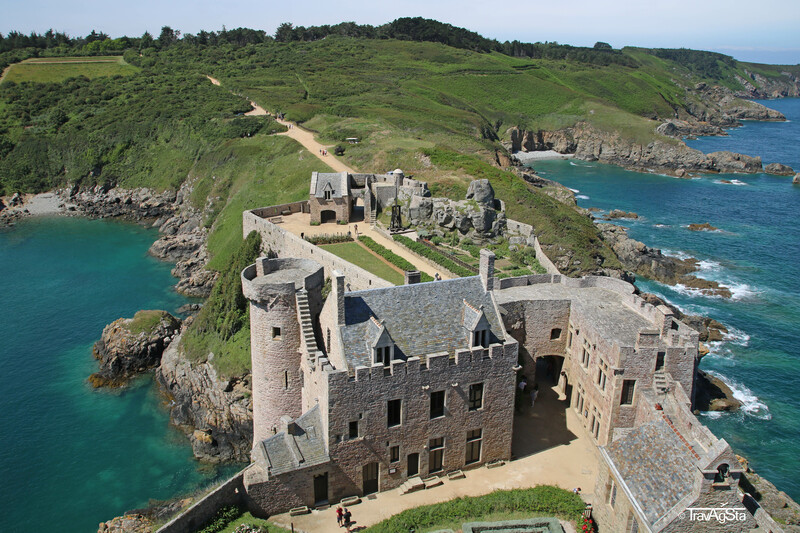 The Cap Fréhel lies on the impressive coastline of the Côte d’Emeraud (Emerald Coast) which reaches to the Gulf of Saint-Malo. And what’s never going to miss in such a place: a lighthouse for which this place is famous for. The landscape is incredible. 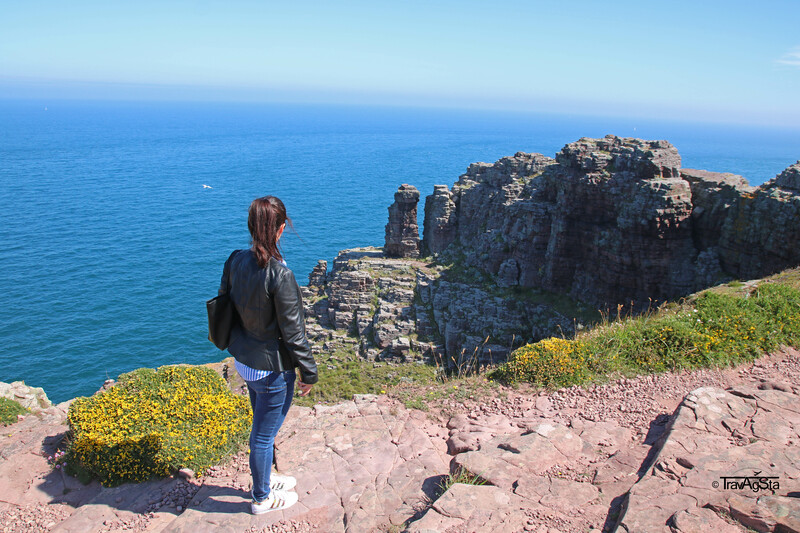 It somehow reminded us of Cabo de Sao Vicente in Portugal. Like probably many places along the Atlantic Coast. It’s also called Château de la Roche Goyon. 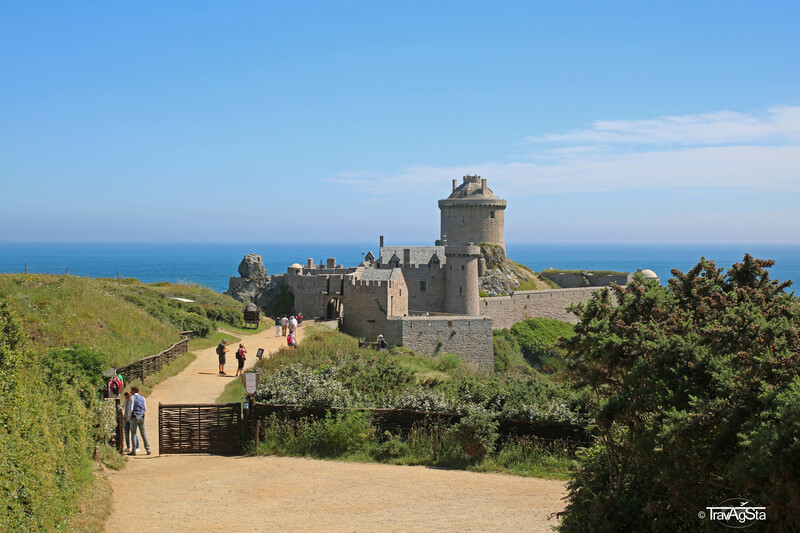 It’s a fortress on a headland not far and south-eastern of Cap Fréhel. 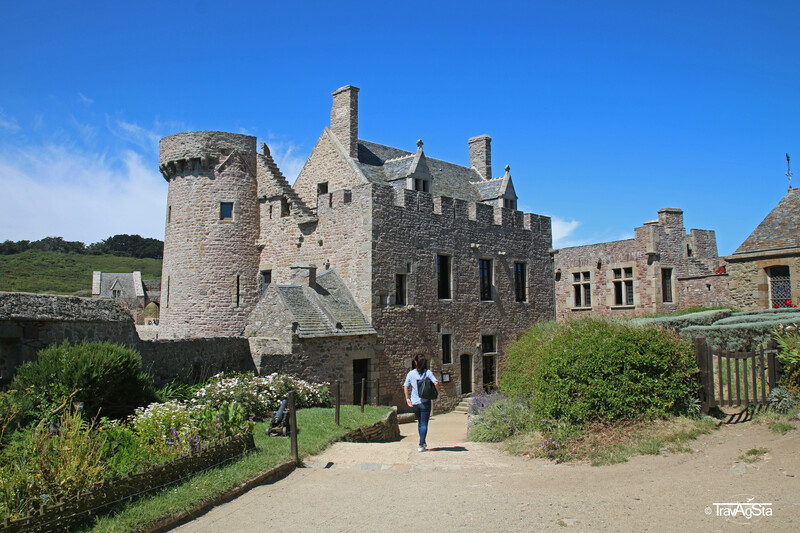 It was built in the 13th century and is in really good condition. It somehow reminded us of San Juan de Gaztelugatxe. Not far from these two places in Plévenon next to the church, there is this lovely Bistro. Brittany is known for its super delicious Galettes. 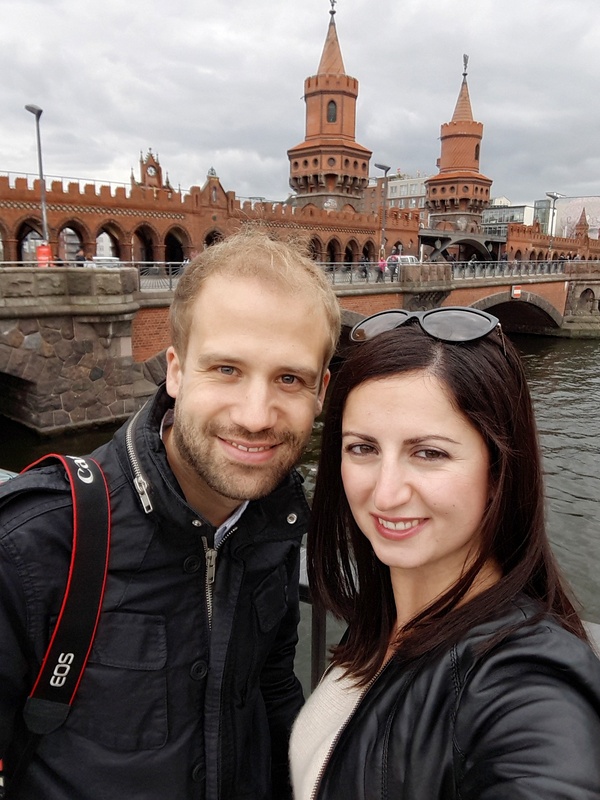 The Bistro’s atmosphere is relaxed, the owner really friendly and the Galettes are delicious. 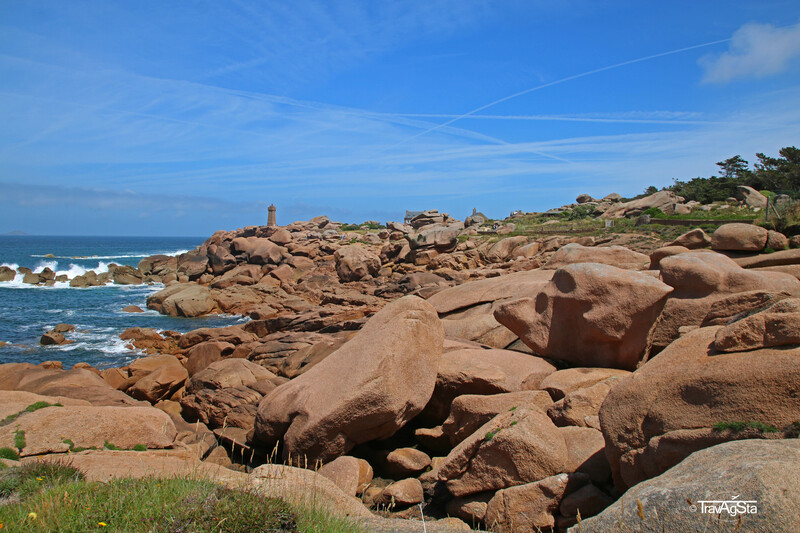 The coast near the cute, little harbour Ploumanac’h is called Côte de Granit Rose (pink granite coast). 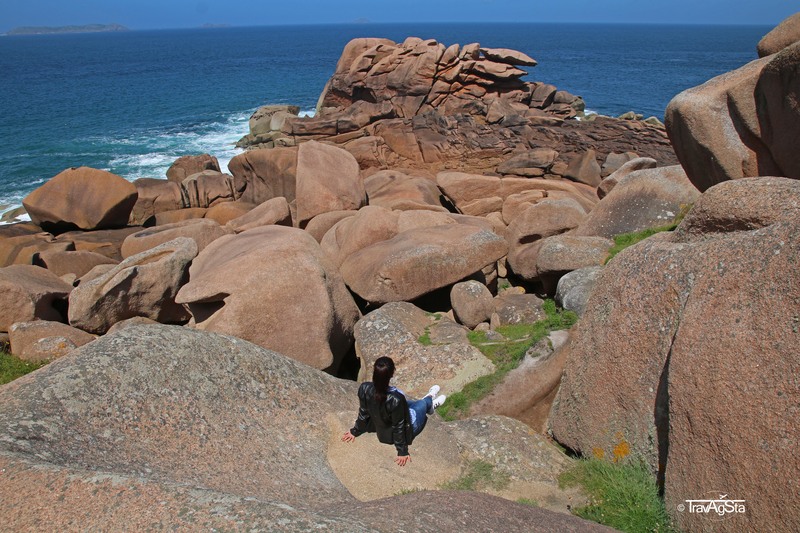 The huge, strangely formed granite rocks form such a surreal landscape; you wouldn’t expect something like this in France. 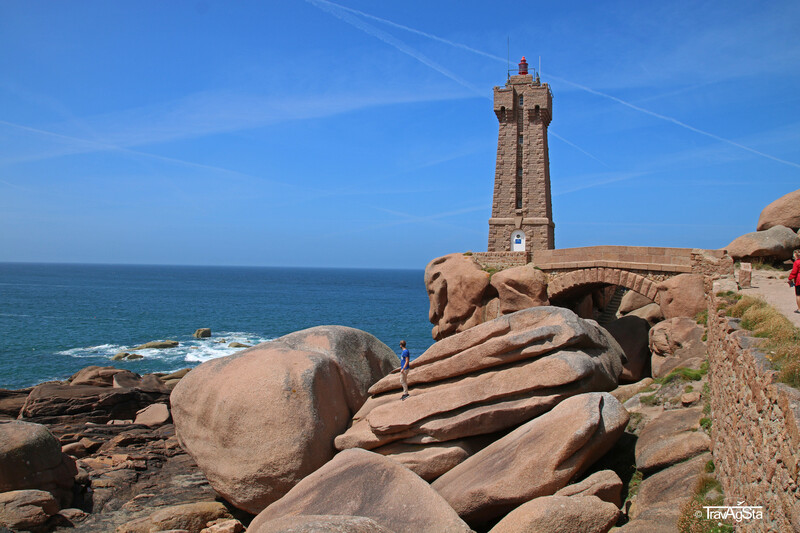 We had seen Ploumanac’h on pictures before but they don’t do it justice in real life. We didn’t expect this place so huge and so gigantic. Same applies to the numerous elderly people here in low season – really impressive. Maybe it looks different during peak season, but there were really not many young people here. 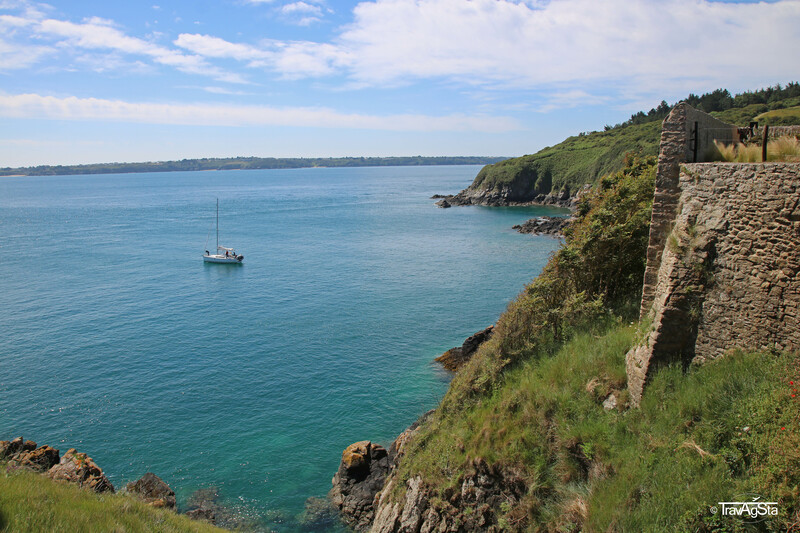 You can walk along the Sentier des Douaniers (coastal path, which the customs officers used in former times) or partly even directly on the cliffs. We went to the lighthouse and back. 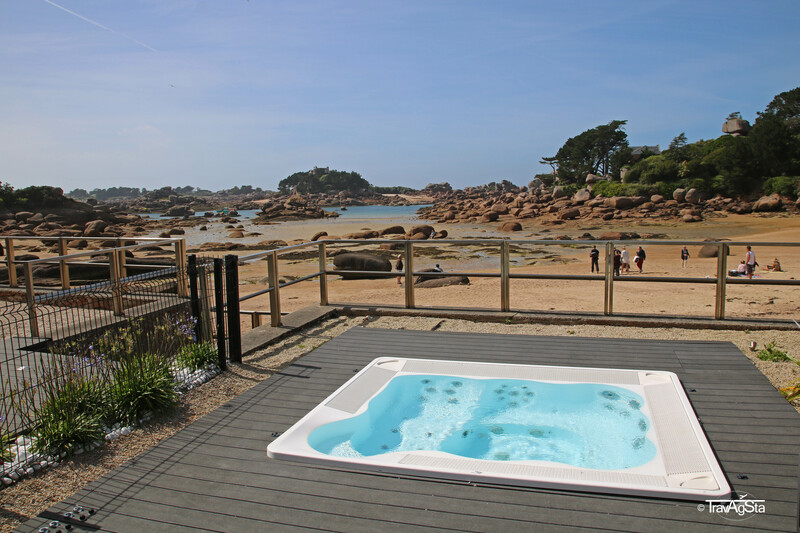 On the lovely Saint-Guirec beach we finished our stay with a drink at the Castel Beau Site Hotel. Prices are okay despite the many hotel stars. The view is amazing. We can really recommend it. Free parking near the beach was available, so everything was perfect here. 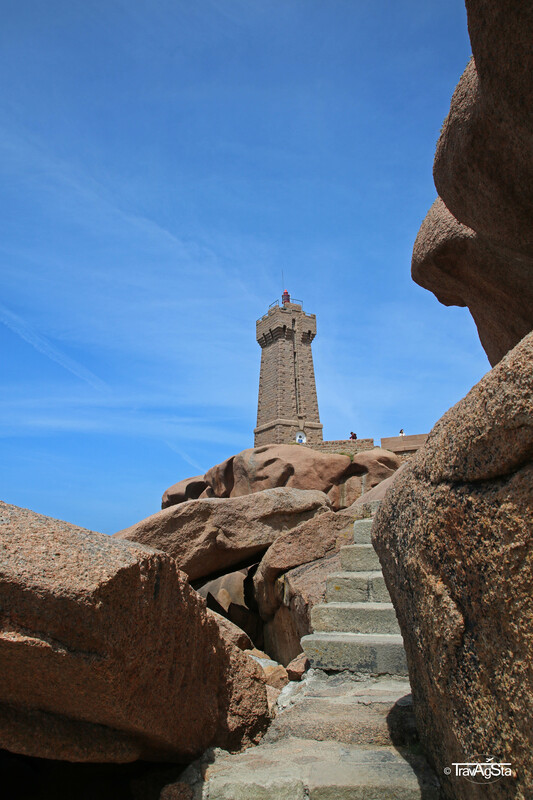 Afterwards we continued our trip through Brittany heading to the southern part of the Finistère.